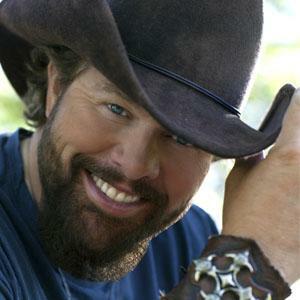 Toby Keith with special guest Rodney Atkins will bring the Locked & Loaded tour to Mohegan Sun Arena on Friday, February 3rd. Tickets go on sale Friday, December 16. It'll be a lock to be sold out and will be loaded with hits as well as songs off his latest album, Clancy's Tavern. (read more). The Seventh Annual Goodspeed Festival of New Artists will kick off its three-day festival of brand new works on Friday, January 13, at the Goodspeed Opera House in East Haddam with a staged reading of the soulful musical Harmony, Kansas. On Saturday, January 14 will be Not Wanted on the Voyage from the team who wrote the Goodspeed-to-Broadway tuner The Story of My Life debuts and on the final day of the festival, the engaging musical The Dogs of Pripyat . (read more). Ocean State Theatre Company (OSTC), the not-for-profit producing entity at the historic Theatre By The Sea in Matunuck, Rhode Island, has been exploring opportunities to add an educational component, to include the expansion of their summer camp, theatre classes, and productions in support of school curriculums, as well as the opportunity to produce a diverse assortment of programming during the off-season, and facilities to allow for year-round office space. (read more). Legendary rock icon Neil Diamond will play a concert at Mohegan Sun Arena in June, 2012. Tickets go on sale December 5 (read more).